“Smart City” is a global term that explains how regions, cities, towns and villages should be developed to become sustainable and modern societies. 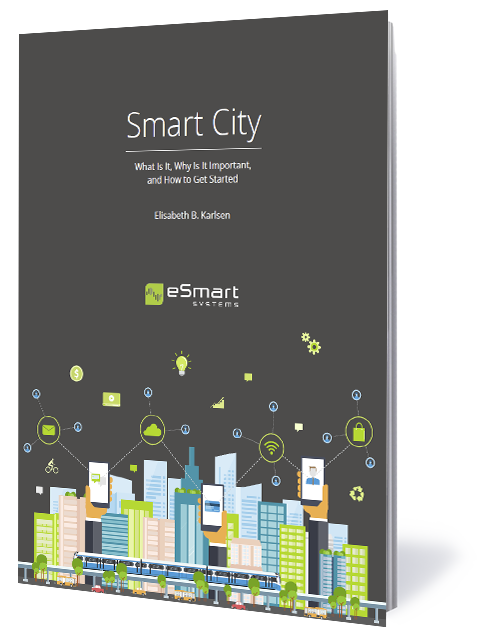 In this easy-to-read, 18 page long e-book, filled with examples, case studies and illustrations, Elisabeth B. Karlsen, gives you a basic introduction to the concept. Learn how the Internet of Things (IoT), information technology, digitalization, Big Data and integrated systems can contribute to modern and sustainable urban development in your region, municipality, city or village. Elisabeth was previously Head of Products at eSmart Systems and named one of the 50 most influential IT women in Norway by Abelia in 2017. Her focus was on innovative technology solutions within welfare and Smart City. Elisabeth started as HR and Organizational Manager in Barnehagenett in April 2018.